On June 11, 1963, the Buddhist monk Thich Quang Duc burned himself in public to protest against the South Vietnamese government. The event was highly mediatized, and whoever has seen Malcolm Browne’s photograph of it, will remember the irreconcilability between the raging flames and the Buddhist’s peaceful pose. Although many self-immolations have occurred prior to Quang Duc’s, his was the first to have inspired imitators across the globe. It turned suicide protest into a true tactic for what the sociologist Michael Biggs has called “the global repertoire of contention”1 – self-burning as a strategy to incite potential sympathizers and to increase media support for their cause. On September 9, 1968, the tactic reached Europe, when Ryszard Siwiec, a Polish accountant and father of five, set himself on fire during a harvest festival in front of a full crowd at the 10th Anniversary Stadium (Stadion Dziesięciolecia) in Warsaw. He wanted to protest against the invasion of Czechoslovakia that crushed the insurrection there, perhaps hoping that political liberalization was still possible if only more people got involved. Siwiec’s action, however, did not appeal to many sympathizers, was barely mediatized and certainly did not lead to a regime change, as was the case for Quang Duc, whose self-immolation was essential to the overthrow of President Diem five months after the burning. 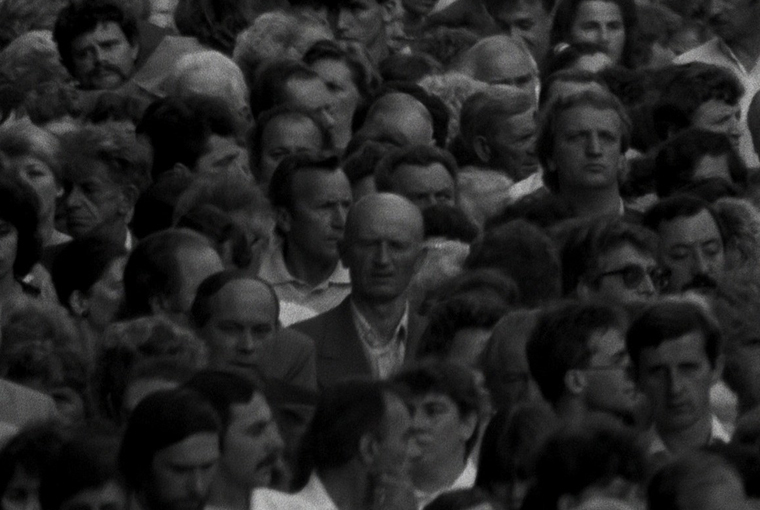 Passivity and indifference of the bystanders are perhaps the most striking elements coming from Maciej Drygas’ documentary on Siwiec. Drygas dug up Siwiec’s story after a regime change had occurred, in 1991.2 Despite the delay, the film finally achieved what Siwiec had intended. It attracted sympathizers for his cause. Siwiec was posthumously awarded Czech, Slovak and Polish state decorations. Streets, bridges and memorials in Poland and the Czech Republic now carry his name. In this way, Drygas’ film is at the beginning of what can be called the canonization of secret heroes, the rediscovery of political martyrs to construct identity-building historical narratives. Like Quang Duc, Ryszard Siwiec also saw his suicide protest as a form of radical awareness making. He carried political leaflets with him that he distributed in the stadium. He recorded a taped speech warning against the dangers of Communism, which a friend was supposed to send to Radio Free Europe.4 In short, he meticulously followed the informal manual of the suicide-as-protest tactic 1) inflicting life-threatening physical injury upon oneself 2) without harming others 3) in a public space accompanied by a written declaration 4) and for a collective cause. This suggests that what inspired him to choose immolation was its remonstrative power, the potential of inciting others to take action. So why didn’t they? The reasons why Siwiec’s action stayed inconsequential are manifold. In Drygas’ documentary, a witness reporting for national television at the time, is convinced that Siwiec chose the wrong moment. He burned himself during the dances. The musicians did not stop playing and so the majority of the 100,000 people were unable to perceive the burning man as a true interruption of the festivities – a human torch apparently being less of an attention grabber than a Mazurka. Had he burned himself earlier, say, during the speech of Władysław Gomułka, the spectators would have been more easily distracted.5 Other witnesses in the documentary, firemen, paramedics, members of the citizens’ militia (Milicja Obywatelska) and the security service (Służba Bezpieczeństwa) report that they were paid hush money and decorated with awards to keep their mouths shut. Failing to attract enough sympathizers and without the proper media attention, Siwiec’s political message was easily reinterpreted as “a madman’s act”6. Bad timing and an effective propaganda machine thus turned Siwiec’s self-sacrifice into a failure. This story may fit too neatly into the apologetic mind-set of post-Communism, where the failures of commemoration practices during the 1970s and 1980s are reinterpreted as communication problems and contemporary acts of remembrance serve as symbolic reparations. In this context, Maciej Drygas’ documentary can be seen as an early example of what Sabiene Stach has fittingly called “the canonization of secret heroes”7, in which a moral transformation takes place with regard to the past. Decreed silence is reinterpreted as remembrance in silence; the public shaming of insurgents still allows for a private elation of martyrdom; a lack of active civil disobedience is reconcilable with latent solidarity. Drygas makes sure that this shall not happen again by letting Siwiec’s children, friends, and a priest, Józef Tischner, detail his saint-like personality, political motives and self-sacrificial intentions. The film thus retroactively establishes Siwiec’s martyrdom, this time not in a stadium packed with uncomprehending bystanders but for a TV-audience eager to watch the overcoming of the totalitarian regime. Instead of letting Siwiec die, once again, unnoticed and in silence, Drygas ends his film with a slow-motion loop, zooming in on his burning hero – ecce homo. “The timing” for Siwiec’s second death was perfect. Siwiec could now give his life to save the national honor and serve his country by delegitimizing the system that had just been overcome. It may be useful, at this point, to return to Quang Duc’s prototypical self-immolation and briefly reflect on the aesthetics of martyrdom. As mentioned above, a central aspect of self-immolations is their performativity. They are carefully planned and staged in front of a large public and the media (recall that Siwiec wrote a script for his suicide protest and chose a stadium for its execution).9 The performativity is further enhanced by the fact that self-burning is essentially symbolic. The self-inflicted suffering cannot be taken at face value. It is a representation of the suffering caused by the state. If, then, there is an aesthetic side to self-immolation, its quality or success not only depends on aesthetic criteria like originality, harmony, beauty, etc. but also on the right people watching. While many spectators were initially appalled upon seeing the images of Quang Duc’s suicide protest and some newspapers refused to print them on moral grounds,10 many also associated the image of the burning monk with a quasi-religious experience. Thus a Syracuse paper said on seeing it, “If you can publish a picture of the crucifixion, you can publish this picture.11 John F. Kennedy, for one, is cited to have exclaimed “Jesus Christ!” upon seeing Malcolm Browne’s photograph.12 Perhaps the monk and the self-sacrifice reminded the president of Sunday school. Another way of understanding the religious impulse is to think of self-immolation as a coincidence of opposites. Many thinkers have located religious experience in the simultaneous coexistence of pairs of opposites.13 This is because in everyday life, we tend to perceive the world in a more or less coherent narrative free of contradictions. For instance, I cannot be awake and asleep at the same time. If, however, I do experience some form of sleepwaking or wakesleeping, I may believe that my experience has some kind of religious quality because it transcends the ways in which I am used to seeing the world, that is either awake or asleep.14 So one reason why Quang Duc’s self-immolation is so religiously disturbing is not that Quang Duc was a monk, but because of the coincidence of opposites communicated by the aesthetics of his martyrdom: laying bare the injustice of suffering through the purity of endurance. The stoic response to death, the imperceptible reaction to pain and refusal to cry out, all transcend the ways in which we have learned to experience the world.15 More than that, the coincidence of these opposites borrows from the imaginative repertoire of cultures that have traditionally represented the suffering of martyrdom as transcendent, most obviously depictions of the Passion of Christ in which Jesus is crucified “…as one feeling no pain.”16 It is in this way that Quang Duc’s suicide protest can be seen as a transcendent performance and the Western media as an ideal spectator. While Ryszard Siwiec’s suicide protest was unable to fulfill either of these two conditions in 1968, the same cannot be said about Drygas’ second staging of the event. Indeed, the last still frame on Siwiec’s face borrows directly from the iconography of Quang Duc, not only by capturing the event in a single photograph but also by introducing an element of calmness to an otherwise erratic moment. Were it not for this awe-inspiring effect, the scene would, indeed, look rather profane, the man wildly flapping his hands to keep away bystanders trying to extinguish the flames. Instead, the loops, as Basia Lewandowska Cummings has noted for Sight & Sound, work like “inscriptions of memory”17, the transcendent effect further amplified by the soundtrack, Paweł Szymański’s Partita III from 1986, which leaves the last still on Siwiec’s crying face all but unheard. Fig.1. Officials burning documents (left) and Ryszard Siwiec during the self-immolation (right). This is an odd conclusion for a movie that starts with an image of state officials secretly burning documents in the courtyard of a building (see fig. 1). From this opening, it would seem that the problem of decreed forgetfulness did not escape Drygas. By exalting his protagonist into a heroic martyr, however, he gave his audience an easy access for amending its historical conscience and the post-Communist regime a pretext for promulgating its liberal agenda. It is incomprehensible to me how film scholars are still able to interpret films like these in the context of debates around “the limits of representation”.18 There is no “limit of representation” in Siwiec’s political legacy, in the governmental banquets held in his honor, the monuments erected in his name and the practice of cultural canonization of political martyrs of which Drygas’ film is, intentionally or not, a part. If his film were about the absence of public awareness and forgetfulness, it would have certainly been more difficult for Czech and Polish state representatives to show the film in the context of a two-day program attending the inauguration of a statue in front of the Prague Institute for the Study of Totalitarian Regimes (Ústav pro studium totalitních režimů) in 2010. It is more likely that the transcendent aesthetics of Drygas’ film fed into the needs of the Polish society to claim its own resisting heroes. For the 45th anniversary on September 8, 2013 the film was screened as a spectacle of reenactment, at the National Stadium, which was built on top of the 10th-Anniversary Stadium, where the original protest suicide took place. Were it not for the immense time difference between Siwiec’s suicide protest and Drygas’ documentary, the filmmaker’s efforts to mourn his hero could be seen as an Antigonian effort to defy decreed forgetfulness. By the time Hear My Cry was made, however, there were no obligations outlawing the mourning of political dissidents. On the contrary, if anything, an obsession for historical grievances and a canonization of political martyrs was part of the new political agenda, as it settled accounts with the past and constructed a sense of identity for the present. Biggs M. “How repertoires evolve: the diffusion of suicide protest in the twentieth century”, in Mobilization: An International Quarterly. 2013 Dec 1;18(4), p. 422 and Biggs M. “Dying without Killing: Self-Immolations, 1963-2002,” in Making Sense of Suicide Missions., ed. D Gambetta (Oxford: Oxford University Press, 2005), p.181. The same year, Maciej Drygas also produced a radio documentary about Ryszard Siwiec’s last will called “Testament”. Biggs M. 2013, p. 417. It never reached RFE though. See Stach S., Vermächtnispolitik. Jan Palach und Oskar Brüsewitz als politische Märtyrer, Göttingen 2016, p. 430. Tomas Kavaliauskas also supports this point. 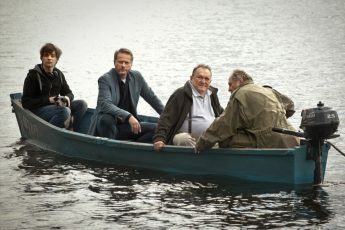 See Kavaliauskas, T., 2012. Transformations in Central Europe between 1989 and 2012: geopolitical, cultural, and socioeconomic shifts. Lexington Books, p. 105. Michael Biggs (ibid.) reports that “some information on Siwiec filtered through to the West, but it could be dismissed as incredible” (New Statesman, February 14 and 21, 1969, pp. 179, 257). Stach. S. Ibid, p. 463. Eisler, J., 2006. Polski rok 1968 (Vol. 22). Instytut Pamięci Narodowej-Komisja Ścigania Zbrodni Przeciwko Narodowi Polskiemu, p.752. Some scholars have gone so far as to seek parallels with performance art, Quang Duc’s self-immolations coinciding with the spreading of this art form. See Vågnes Ø. “The Unsettling Moment: On Mathilde ter Heijne’s Suicide Trilogy“, in Grønstad A. and Gustafsson H. ed., 2012. Ethics and Images of Pain. Routledge, p. 148. Vågnes Ø. “Lessons from the Life of an Image: Malcolm Browne’s Photograph of Thich Quang Duc’s SelfImmolation,” in Guerin, F. ed., 2015. On not looking: the paradox of contemporary visual culture (Vol. 11). Routledge. As quoted by Barbie Zelizer in Zelizer, B., 2010. About to die: How news images move the public. Oxford University Press, p. 223. Jacobs, S., 2006. Cold War Mandarin: Ngo Dinh Diem and the Origins of America’s War in Vietnam, 1950–1963. Lanham: Rowman & Littlefield, p. 146. It would go beyond the scope of this review to fully elaborate on this. Religious experience as the coincidence of opposites is often traced back to Bonaventura who was likely inspired by neo-Platonic ideas for the idea. Prominent thinkers after Bonaventure who have systematically theorized on the topic include Nichols of Cusa (e.g. De docta ignorantia I, 1994, Philosophische Bibliothek (Volume 264a), P. Wilpert and H. G. Senger (ed. and trans. )); Paul Tillich (e.g. Paul Tillich, Systematic Theology, Vol. I (Chicago: The University of Chicago Press, 1951); and Mircea Illiade (e.g. Eliade, M., 2013. Autobiography, Volume 1: 1907-1937, Journey East, Journey West. University of Chicago Press.). People really attribute religious feelings to states of consciousness like hypnagogia or hypnopompia. See most recently Powell, A.J. “Mind and spirit: hypnagogia and religious experience.” The Lancet Psychiatry, 2018, who argues that this is precisely because they attribute too much meaning to the dualism of being either awake or asleep, which is, of course, unscientific. In self-immolation many paradoxes come together that go beyond the aesthetics of martyrdom. Paradoxes collide with regard to agency: victims do not will their victimhood, and yet self-immolators are victims; blame: the victim kills himself but wants to blame someone else for the death; psychology: self-immolation can be seen at once as an act of extreme selflessness, what Durkheim called altruistic suicide (Durkheim, É., 1897. Le Suicide : Étude de sociologie. Paris, Félix Alcan. ), while the belief that sacrificing yourself will lead to mass salvation could also be considered vain or narcissist. As in the Gospel of Saint Peter. See James, M. R., 1924. The Apocryphal New Testament. Oxford: Clarendon Press. Original quote meant in appraisal, see Cummings, B.L. “Maciej Drygas: a forensics of the public unconscious”. Sight & Sound, 15 November 2013. [available online: http://www.bfi.org.uk/news-opinion/sight-sound-magazine/features/maciej-drygas-forensics-public-unconscious, last accessed April 27, 2018.]. See Coates, P. “Varieties of Smallness A Swedish Art Film (Persona), a Polish Documentary (Hear My Cry)”, in Blankenship, J. and Nagl, T. eds., 2015. European Visions: Small Cinemas in Transition. transcript Verlag, p. 131. ).